We love boats. Our focus at Jamestown Distributors is in helping boaters repair, build and take care of their boats. Customers have trusted Jamestown Distributors for quality boating and boatbuilding supplies since 1977. Mike (the President of Jamestown Distributors) started in the warehouse ten years ago when the business was still located in Jamestown. He slowly worked his way into the marketing department and then the call center, and now, finally, somehow they put him in charge! The products and the website are his passion, but he does have to do some managing and general administrative things, as well. He and his wife Nina have three little girls. He enjoys sailing, fishing, surfing and kitesurfing. Mike grew up sailing dinghies in high school and college. After college he raced 505s and A Class catamarans... until he discovered kiteboarding. During the winter you'll find him in the shop working on a beetlecat or taking his kids skiing. 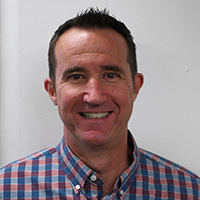 Chuck is the VP of Operations at JD and has been with JD since 2014. He has always enjoyed getting out on the water and has owned many boats but currently owns a SeaSprite 23 daysailer. 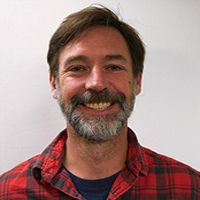 Chuck enjoys racing his Sea Sprite, occasional trips to Block Island and working in the TotalBoat Workshop honing his boat repair skills. He lives in Wickford but hopes to cut the commute by living in Bristol Harbor aboard a super yacht he has yet to purchase. Skip joined the JD team on a steamy day in August, 2004 when we were all working in an un-air-conditioned factory building that had been converted into offices & a warehouse. At the time there was very little in the way of any IT department. Since then we have grown the IT department considerably and designed & built this awesome website you're on right now. We've also moved the company to a new building implementing a new network infrastructure from the ground up. Today we are still working on the website, making it better, more usable & adding shiny new features. In my free time I enjoy playing with computers; taking them apart, putting them together, breaking 'em, fixing 'em, etc. I also love music & spend lots of time making beats using all kinds of tools, from software synths & sequencers to analog modulars & old circuit bent toys. I suppose the underlying theme here is that if there's electricity running through it, I'm probably into it. 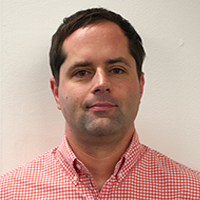 Dan joined Jamestown Distributors in 2005, serving in a variety of marketing roles before becoming our Marketing Director in 2015. After several years of sailing lessons, he's finally allowed a turn at the wheel of his family's Catalina 34 every now and then. Back when he had spare time, he liked to spend it skiing, bicycling, kayaking, building furniture, and tinkering with old German cars. Rui's first job at Jamestown Distributors consisted of boxing hundreds of fasteners into boxes of 100, and now he has been managing our warehouse since 2006 (a true success story). In addition to managing our inventory, Rui and his awesome team ensure that all of our orders are picked, packed and shipped to our customer daily. When not here at Jamestown Distributors, Rui enjoys the Boston Red Sox, the New England Patriots and is an even bigger fan of the Boston Bruins. As a season ticket holder you can also find him at every home game of the Providence Bruins. When he was a kid, Rui was a goalie in street hockey and claims that he was pretty good, one of the best. Weâll have to challenge him to a game and see how true that is. 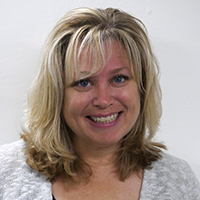 Becky hopped aboard Jamestown Distributors as the Purchasing Manager in February of 2016. 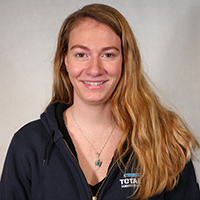 Becky brings extensive purchasing and inventory management experience with her, along with a passion for the water. She has been heavily involved with junior sailing for the last 14 years, and she and her family race their own sailboat Kanga in local regattas around Buzzard's Bay. She and her husband Twice have two boys, Camden (22) a senior at URI and captain of the keel-boat team, and Luke (11) an avid Opti, O'Pen Bic and 420 sailor. Melanie is the Inside Sales Representative for JD. She started in 2005 in customer service and has held several positions with the company. In her new position, she can maintain the customer relationships developed over the years and assist them with pricing and procurement of the correct products for their projects. When she is not behind her desk, you can find her relaxing on Prudence Island playing in her garden. She also likes to cross stitch and entertain...and enjoys an occasional Cosmopolitan. 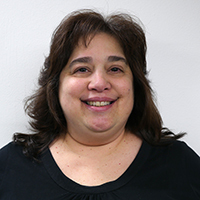 Barbara joined Jamestown Distributors in February of 2004 as the Manager of Accounting and Human Resources. Barbara and her coworkers Susan and Janice are responsible for Accounts Payable, Accounts Receivable, Payroll, Benefits Administration and Recruiting. 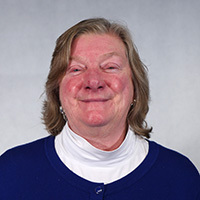 Barbara's previous experience includes managing groups responsible for software development, network installation and implementation, end-user support and IT administration. 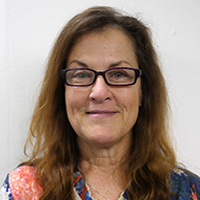 Married with two children, Barbara enjoys cooking, reading and going on exploratory drives. 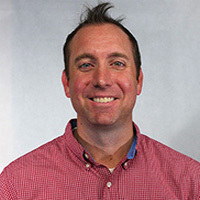 Matt started with Jamestown in 2017, hired as the call center manager. Prior to coming to Jamestown,he managed call centers in the financial services and transportation industries. He has learned more about boats and the marine industry in the past 3 months than ever before and he looks forward to owning his own boat (soon!). When not at Jamestown, Matt spends time with his 11 year old son. They are both avid sports fans and when they are not actually playing sports, they are often watching them on TV. Being outside, in the water, on the water or on the field is Matt enjoys most. 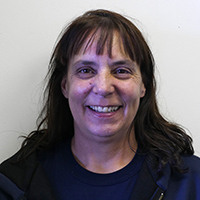 Debbie is the Shipping Supervisor and has worked for Jamestown Distributors for 14 Â½ years. A mother of one, Debbie was born and raised in Bristol, RI. 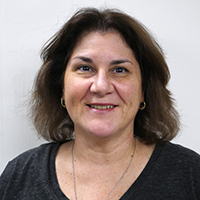 When not here at Jamestown Distributors, Debbie enjoys spending time with family, longs walks at Colt State Park and also loves cooking. 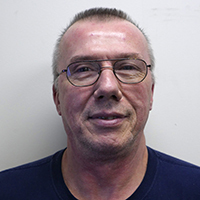 Ed is our receiving manager and has been with Jamestown Distributors since 2004. He is a graduate of U. Mass Dartmouth (way back in the day), more recently NEIT and comes with many years of retail experience. He oversees the receiving and putting away of incoming freight and boy does it ever come in. He also works with inventory control, making sure all phases of this operation run smoothly. Our goal is get the freight out to you, our customers right away and this begins with receiving freight accurately and efficiently, of which he and his partner Joe do a great job. Ed and his wife have 2 adult sons. 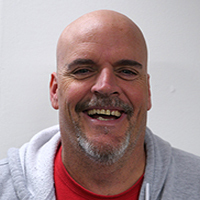 His interests include sports, (long time Patriot's season ticket holder), travel, and he has for many years played his guitar in area churches. 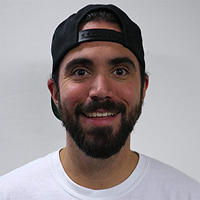 Alex started in December of 2016 after being the manager of Sports Authority and Tommy Bahamas. Her hobbies include hitting the beach, camping, hiking, and making art - mostly ceramics. Alex has a degree is in graphic design and fine arts. She loves dogs, her family and the beach. Alex's boating experience started as a young girl aboard the family sail boat. She then rowed for four years in college and these days loves paddle boarding and kayaking. Alex works in the store and is a merchandising dynamo! 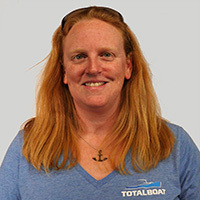 As web content coordinator, Annette enjoys deep dives into oceans of boat-related content, fishing for the right words to describe new products and explain various boatbuilding tasks. She also helps ensure that TotalBoat product labels and technical data sheets are grammatically watertight and see-worthy. Brian came to Jamestown in August 2008 with a background in marine engine parts, steering and general boat supplies. I grew up on the water and have been around boats for many years. When I am not at work I enjoy spending time with my wife and children. In the winter you can find me on the ice fishing (we do fish between the cocktails) and in the summer on Narragansett bay fishing for "doormat" fluke. Chris has been a champion in the warehouse since 2006. An avid sports fan, Chris writes our bi-weekly JD Sports Report for the company newsletter. He enjoys making Rui happy 24/7 and playing basketball in his spare time. He lives in Westport, MA with his wife, Adele and they are expecting a baby in the summer of 2017. 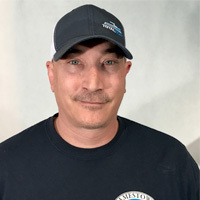 Dan came to JD in 2016 and has been in the marine industry his entire career. Dan is the JD Outside Sales Rep and he is often on the road visiting customers. An avid sailor, Dan enjoys getting out on the water with his wife and 2 sons and they are currently restoring a Cape Dory Typhoon for increased sailing fun. When not on the water, Dan can be found on the ice. 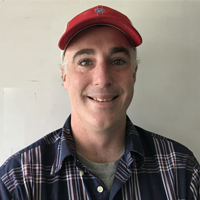 Be it a pond or ice rink, Dan will skate anything slippery and is Newport Hockey's Mite Development Program Director. Dan likes to be awesome in his spare time. 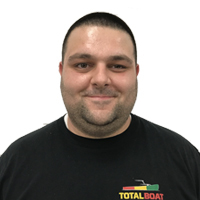 Eric has been in the marine industry for x16 years with a strong appreciation for DIY boating. He restores sailboats and enjoys cruising and racing. 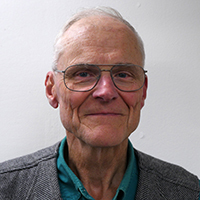 He lives in Portsmouth with his wife and his dog and enjoys wintertime restoring, and summertime cruising and racing on his Cal Sailboat, Flying Wasp. 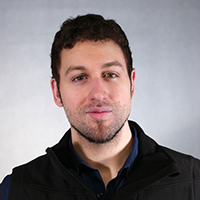 Eric works in product development and testing in the TotalBoat Workshop, where he is king of the domain! Glen has been at JD for over 11 years. He is an avid fisherman always looking for the big stripers off Prudence Island. His largest was a 42-incher! So far! In the off-season, he keeps busy watching the Patriots games. He loves his job at JD and is a valuable member of our Shipping Team. 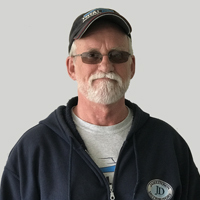 Hillary has been at JD since 2014, having worked in the marine trades for over 4 decades. 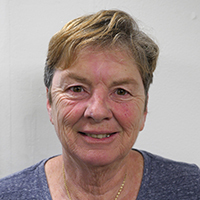 Her extensive industry experience includes sailing instruction, sailing charter mate and captain, restoration apprentice, varnisher and paint foreman at the Concordia Co. She has always enjoyed working and playing on any boat, from kayaks to mega-yachts - they are all FUN!! In Hillary's spare time she enjoys working in her shop/studio making art while utilizing her years in the industry for both inspiration and technical know-how. Her best art critic is an old spaniel who also makes her happy by walking her a few times a day. 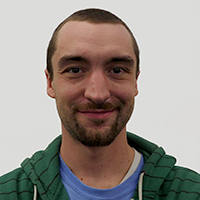 Jack has been with JD since 2008 and he works in customer service in our call center. Jack enjoys sailing, HAM Radio, Woodworking, Sport Cars and reading. An experienced sailor, Jack has been sailing for over 40 years both racing and cruising. He is married and has 2 kids and 2 grand kids. Janice works in the accounting department doing accounts payable. She enjoys camping and being with family and friends. Joe, aka "Ozzie" has been at JD for over a hundredth opf a century. Ozzie came to JD with over 4 decades of boating experience, and is mostly a powerboater but has been known to succumb to the dark side (Sailing...). He owns 4 boats that float and a short list of some others that he hopes will one day see the water again. He enjoys boats and boating and fixing all these boats, as well as sports like basketball (which he refs, coaches and plays) and in his spare time he most enjoys his family which he says "always comes first." Ozzie lives in Bristol with his wife Cindy and their 2 kids, Joe and Hailey. 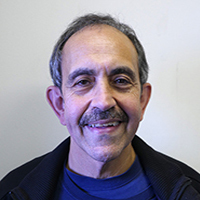 You will find Ozzie in the retail store sharing his boating wisdom and forever refining this bio. Joe started with Jamestown back in August of 2004. Most of his responsibilities fall in the Receiving Department. Working with all of the arriving inventory and making sure that it is correctly entered into our computer system on the loading dock is no easy task. Joe will also fill-in with the picking and the packing when needed. In total Joe has spent eight years in the Marine Industry. He is married and has five children. He enjoys playing cards and following the New England Teams. 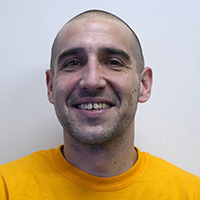 Joe is the Receiving Supervisor and has worked for Jamestown Distributors for 7 years. Joe and his wife are happily married and have been for 12 years now. Joe and his wife are proud parents of a set of 2 Â½ year old twins, Avery (he was named after Joeâs favorite player Avery Bradley of the Boston Celtics) and Haven (she was named after the Stephen King novel, The Colorado Kid). Let's just say that between work and home, Joe is always on the move. Born in Pawtucket, RI Joe now resides in Fall River, MA. When not here at Jamestown Distributors, Joe loves spending time with his family. He also enjoys all 4 Boston teams and the New England Revolution. Kristin has been in the marine industry for her whole working life. Begninning as a dock girl, launch driver and Asst. BI Harbormaster, Kristin now has a 50-ton Captain's License. It's not that handy, however, in her role at JD as digital media coordinator. From photography and video production to social media and the many blogs, Kristin has her hand in many things around JD. Whenever she's able, you'll find her with her husband, Rob and their 2 sons, Oliver and Ben, fishing, sailing or racing with her girlfriends on a J22. Laura lives in Jamestown and has been with JD for many years. She started in 1984 and left the company, only to come back again for more! She is a powerhouse in the warehouse and works quickly picking orders all day. 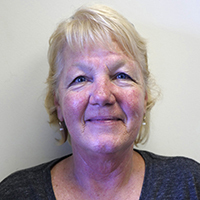 She enjoys gardening, cooking, horseback riding and spending time with her 2 granddaughters. She and her husband Wayne have a small powerboat they enjoy taking out on the Bay. Laurie is our most seasoned employee, working for JD since 1985. She spent 18 years managing the warehouse and the past 14 in sales. In her spare time she like s sewing, quilting, cooking and her grandkids. She has 3 kids and 5 grandchildren. 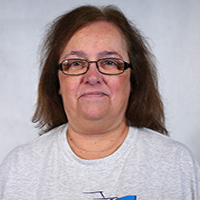 Laurie works in the call center and her specialty is difficult shipping issues and fasteners. Liam grew up sailing on Narragansett Bay before joining the Navy. After 4 years in the Navy he settled down in San Francisco where he learned the IT trade and finally ended up at Pixar Animation Studios. After a decade or so in California he returned to RI and continues to sail the Bay today. Liam is the IT Administrator here at JD. Liang came to JD in June of 2005 and is integral to our IT department. 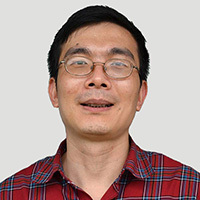 Liang is the lead software engineer (and the "Java General"). 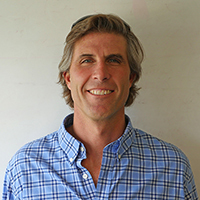 He enjoys biking and hiking and lives in Dartmouth, MA with his wife and 2 kids. 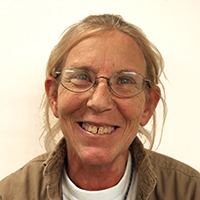 Lois is a buyer and has been part of the Jamestown Distributors purchasing department team since 2007. She enjoys working for a company that is constantly evolving and growing because there is never a boring day at the office. Lois isn't a boat owner (yet) but as a life long Rhode Islander she loves the Ocean State all it has to offer. 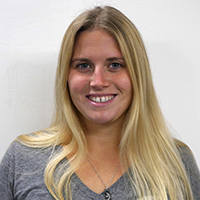 Lorelei previously worked for Hunt Yachts as a purchasing agent and started with Jamestown as buyer in September 2015; making the switch from manufacturing to retail. Her and her dog Buster frequent shop night at JD with her dad to work on restoring their 1957 Century Resorter wooden runabout. Not being much of TV watcher, she tends to live a pretty active lifestyle by running races and other activities that don't involve sitting on the couch. Although she does make a point to watch certain shows such as The Walking Dead and The Big Bang Theory. Her passions lie in music, her dog, obstacle course racing, classic cars, kick boxing, and the great outdoors. 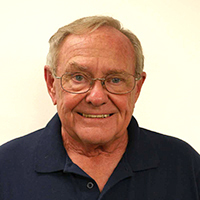 Peter has been working in the marine industry for over 50 years. His experience has been in designing, engineering, building and project management for all types of commercial and pleasure vessels built from steel, aluminum, wood and composite materials. 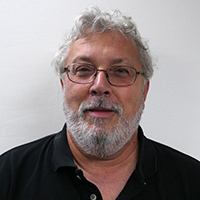 Rick started at Jamestown in February of 2013 as a Technical Representative with experience in Sailing, Fiberglass, Paint, Moorings, Powerboats and Fishing. Leaving a career in corporate finance with manufacturing companies, it's enjoyable to be working with and passionate about marine products and systems. When not at work, you can find Rick fishing on the Sakonnet and around the bay in the summer, and hunting and ice fishing in the winter. 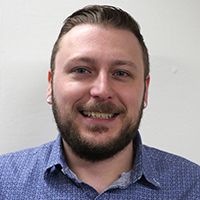 Ryan joined Jamestown Distributors in the call center as a tech. rep. in the summer of 2010 after graduating from the University of Massachusetts Amherst. During the slow winter seasons he transitioned to help work on the website; taking photos, launching new products, and even managing the JD social media accounts. Ryan then took advantage of an opportunity to join an expanding Purchasing Department where he is now (after a couple of years away from JD). Outside of work Ryan is a huge hockey fan; he plays in a couple of leagues and is on the ice several nights a week. He also enjoys cooking, is an avid guitar player, and likes to freshwater fish (and ice fish). Sam drives the JD van and has been with the company since 2004! Sam came to JD in 2010 from a career in hotel security. He now works tirelessly in the warehouse picking, packing and shipping. Sam does it all! He is a certified OSHA forklift operator and a verified auto mechanic. Sam prefers wheels to the water - working on old cars he owns like his 1971 Chevelle and a 1968 Nova which he is restoring. Sam has 2 sons, Bobby and Brent and lives in Portsmouth, RI. 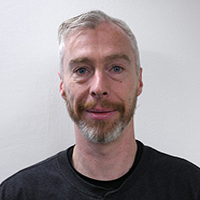 Sandy has been in the marine and composites industries for years and has excelled in customer relationships in the local area. She lives in Portsmouth, RI with her husband and two children. They spend their time fishing and exploring the area beaches and waterways throughout New England. 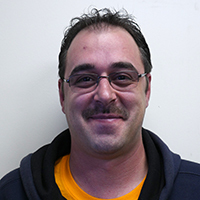 Scott is the Database Administrator for Jamestown Distributors. Scott joined Jamestown Distributors in November of 2010. He loves to solve problems by creating software and asking questions of 'Big Data'. Scott's wife and four children (between 6 and 18) take up every free moment of his life, and every moment of life counts! 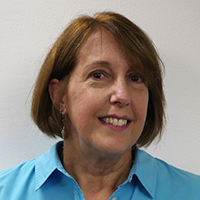 Sharon is a graduate of Bryant College and has worked in Purchasing & Supply Chain Management in various industries for over 20 years. 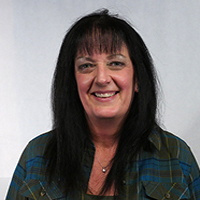 Sharon has been with Jamestown Distributors for 3 years as a sourcing agent & buyer. She is an animal rights advocate & rescuer, enjoys spending time with family & friends, playing guitar & bass, and prides herself on her useless knowledge of rock & roll & punk rock music trivia. Her dream is to own a Rickenbacker 330 Fireglo Red left-handed 12 string electric guitar! Sue came to JD in 2015 after over 18 years as an office manager and bookkeeper for a busy manufacrturing and distribution company. She lives in Warwick with her husband, Joe and loves to garden, go to the beach and go on Disney vacations with Joe. She has a son and a step son. 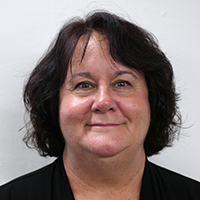 Sue is the voice of Accounts receivable and Human Resoucre work at JD. 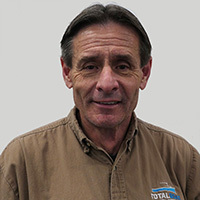 Tait started at JD in February of 2017. 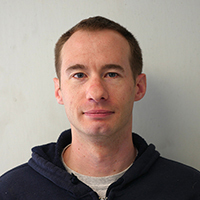 He previously worked at the Woods Hole Oceanographic Institution, drawing AurtoCAD layouts and doing light machining. Tait lives right on the beach in Portsmouth, RI and is an avid percussionist that used to play in Spark Bugs in MA. Tait supports all the Boston sports teams and loves to write. 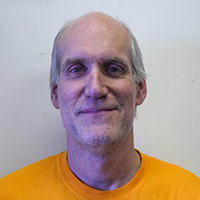 Tom has been at Jamestown Dstributors since the spring of 2014. "TotalTom," as he's called around JD, has a true passion for helping customers achieve all of their goals in preparing their boat for the season. 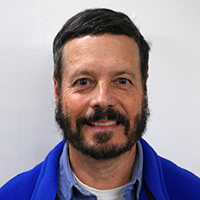 Tom especially takes joy in helping customers with their brightwork and fiberglass repair and refinish. 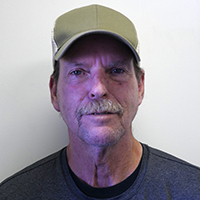 He has worked with resins and paints for over 10 years, and also has experience with auto body work, house repair, and boat repair. Tom's Credo: I believe the foundation to any company like ours is the customer and I dedicate myself to making sure every customer leaves with two things; what they need and a smile on their face. Jamestown Distributors started selling Marine Fasteners to local boat builders and boatyards in 1977. Since then, our offering has grown to include marine epoxies, fiberglass and composite materials as well as marine paints, hardware and tools. We pride ourselves in offering the best selection of marine fasteners available, including everything silicon bronze, stainless steel, brass and galvanized. We literally started the business by stocking the "hard-to-find fasteners" and we are proud to say that is still one of our goals. Jamestown Distributors has always been a family-owned and run business. It started in a small hardware store (with a barn in the back and a shed with a skunk) in Jamestown, Rhode Island. Needing more space the company moved to Bristol in 2001 and then moved to an even larger space (40,000 sq ft) in 2005. Our success has always been due to the loyalty of our customers. Some of these customers have been with us since the beginning, working on the same project even. But, whether it's your first project or your one millionth we want to hear from you. Let us know what your latest project is and how we can help. That is what Jamestown Distributors is all about.